The Union Pacific has two lines running south out of Salt Lake City. 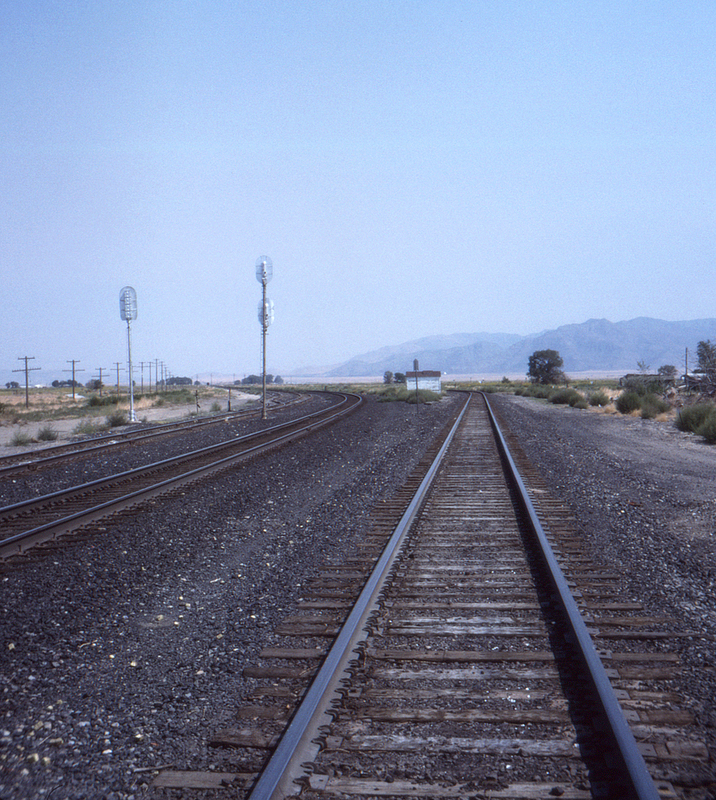 One, of course, is the former Los Angeles & Salt Lake line via Las Vegas, Nevada; the other was part of the Oregon Short Line system and runs via Provo and Nephi, eventually turning west via Leamington Canyon between the Gilson and Canyon Mountains to join the LA&SL at a location called Lynndyl, Utah. In this view looking north from appropriately named Railroad Avenue the OSL line via Provo is at right, with the LA&SL main at left. The Gilson Mountains are visible at right.